The Applebees $1 drink special is back with the Dollar L.I.T. Get tipsy for only one greenback. It’s going to be L.I.T. at Applebees this summer. The casual restaurant chain just announced another version of its popular drink specials. Throughout June, you can get in on the Dollar L.I.T. — short for Long Island Iced tea — and any participating restaurants. And yes, as the name suggests, it’ll only set you back a buck — plus tip, of course. 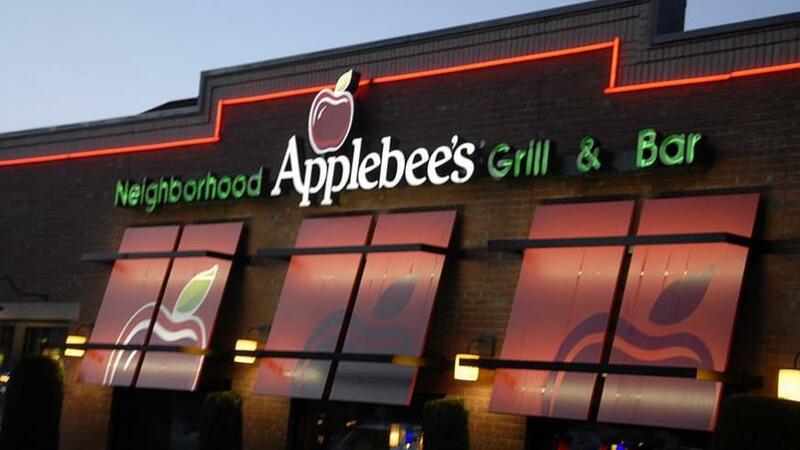 What’s in an Applebees Dollar L.I.T.? According to a press release, the Applebees Dollar L.I.T. "features five spirits – vodka, rum, gin, tequila and triple sec – mixed with sweet & sour mix, topped with a splash of cola, and served in a 10-ounce mug over ice." That’s right: five types of alcohol to help you get tipsy for only one George Washington. "The Dollar L.I.T. is a fan favorite in our lineup of Neighborhood Drinks, and we're pumped for the summertime return of this great offer," said Patrick Kirk, vice president of beverage innovation at Applebee's. Do all Applebees have $1 Long Island iced teas? Be sure to check with your local Applebees before you ask for a Dollar L.I.T. because some restaurants aren’t participating — and, if history tells us anything, there’s a chance that NYC restaurants won’t be offering it. But if your restaurant does offer $1 Applebees Long island Iced teas? It’s going to be a fun summer. "For only one buck, our guests can get five deliciously mixed spirits in one glass. Now that's a great way to celebrate the season," Kirk added. 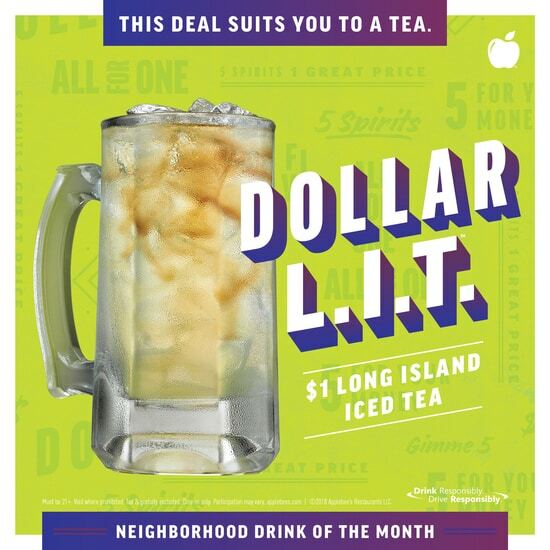 Lifestyle - U.S. Daily News: The Applebees $1 drink special is back with the Dollar L.I.T.